410-781-7500 Mon-Fri 9:00 am to 5:00 pm - We have many more products. Please call us for inquires. The Amico Information Management System (AIMS) is intended to provide real time information to hospital personnel on the status of all the medical gas devices. AIMS is a computerized network management system which will scan every device in a hospital and display it on the screen of a host PC. 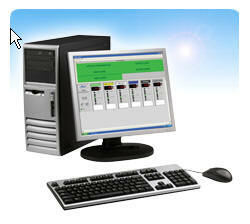 The Retro-Fit process allows you to update and convert your old Medical Gas Equipment to new Amico equipment. This can be done without breaking the pipeline or cutting into the existing wall. Amico’s Retro-Fits are designed to use the existing back body of the previous product. This allows you to maintain the original configuration while improving both the functionality and aesthetic appearance of the equipment. Amico Corporation, founded in 1974, is a leading manufacturer of Medical gas Pipeline Equipment serving the global Health Care Industry.The products are designed to facilitate and monitor the delivery of gas throughout hospitals and clinics. Amico sells its product toa global distribution channelfrom two locations: one in Fairfield-New Jersey and onein Toronto, Canada. 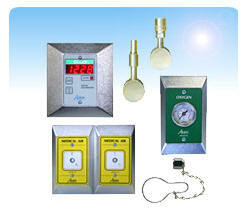 All products conform to NFPA 99, CSA Z305 and are manufactured to ISO- 9001:2000 standards. Products are UL Listed and/or CSA approved where required. Products comply with FDA-CFR 820/Canadian Medical Devices Regulations standards and are manufactured in accordance with good manufacturing practice (GMP) in mind. Amico products are designed on CAD/CAM systems to very high tolerances. Every manufactured part is inspected by the quality control department and all completed products are 100% tested under simulated field conditions. All products are cleaned and degreased for medical gas service. Amico prides itself on developing and manufacturing the most advanced products in the world. Amico is clearlythe technological leaderin its industry and its products are powered by the latest microprocessor technology. This reduces manufacturing costs and provides customers with more flexibility andmore information at a lower price. The *Amico ALERT-2 medical gas alarm is used by hospital personnel to monitor gas pressures and vacuum levels of the medical gas pipeline. All gases or vacuum levels are displayed with large red LED's for clear visibility, readable even in dim lighting conditions. Wall mounted console units are used by hospitals as a convenient way to access and display electrical and gas outlets. The aesthetic appearance of an anodized aluminum frame, coupled with the modular design of the outlets, allows hospital personnel to administer gases or to use secondary equipment with great ease. the harsh environment encountered in ambulances. Amico offers a vast selection of digital monitors, outlets, rough-back assemblies, fittings and high pressure gauges.outlets, rough-back assemblies, and high pressure gauges. Amico floor pedestals are used in operating rooms where ceiling space for ceiling columns is limited. The compact design allows gas and electrical services to be placed in a convenient location that is accessible when required and isolated when not in use. The pedestal is constructed from stainless steel for ease of cleaning and an aesthetic appearance. An access panel is added to each pedestal so that outlets and electrical can be easily serviced. Amico's Zone Valve Boxes (like all Amico products) are built with quality in mind. Each valve includes a large color-coded gas identification label strategically placed for the highest degree of visibility. 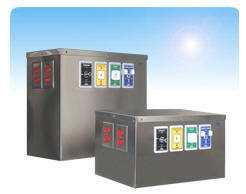 Zone valve boxes can be configured to hold 1 to 6 valves with or without monitoring gauges. Isolation valves are available with an optional purge port.